Lennon, Camak & Bertics, PLLC, is a Workers’ Compensation and Social Security Disability law firm based in Raleigh, North Carolina. 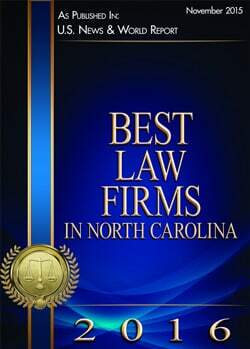 Our attorneys are North Carolina natives who have spent the majority of their professional lives in Raleigh. They’ve dedicated their legal careers to helping North Carolinians, and they can help you too. We specialize in Workers’ Compensation and Social Security Law. Our attorneys are Board-Certified Workers’ Compensation Specialists recognized by the North Carolina State Bar and have extensive experience in Social Security Disability Law. We provide personal service to clients all throughout North Carolina, and can answer any questions you have during the process of obtaining the benefits you deserve. You may not know all of your rights when it comes to workers’ compensation, but we do. We have been representing workers in with serious and catastrophic injuries in North Carolina for decades, and are ready to help you pursue your claim today. Disabilities not only impact your day-to-day activities, they also impact your ability to work and earn a living. Unfortunately, more than 70% of all initial Social Security disability claims are denied. That means you may not receive the assistance you deserve. Speak with our attorneys today to learn more. We can answer any questions you have and move your case along. As North Carolina natives, the attorneys at Lennon, Camak & Bertics, PLLC, understand the importance of helping others in the community. That compassion shines through in the tenacity with which we fight for each client. We represent individuals with all types of backgrounds. Whether you’re from a big city or small town, if you have an actionable claim we will fight on your behalf. Get to know us below! We are board-certified workers’ compensation specialists who specialize in Workers’ Compensation law and Social Security Disability law. Our expertise combined with our hands-on approach is what sets us apart from any other firm in North Carolina. Click to learn more about why you should choose Lennon, Camak & Bertics, PLLC, or browse the helpful links below to learn about our philosophy and qualifications! Injured at work? Speak with an attorney today. Don’t face the big insurance companies alone. We are here to fight for your rights and level the playing field. Contact us today to tell us more about your case and get started with your claim!